As it has been known, aluminum sheet production is a traditional processing industry, it has been more than 50 years development in this industry. Due to the producing technology and the raw material of many factories are different, result in the price of aluminum sheet is different. 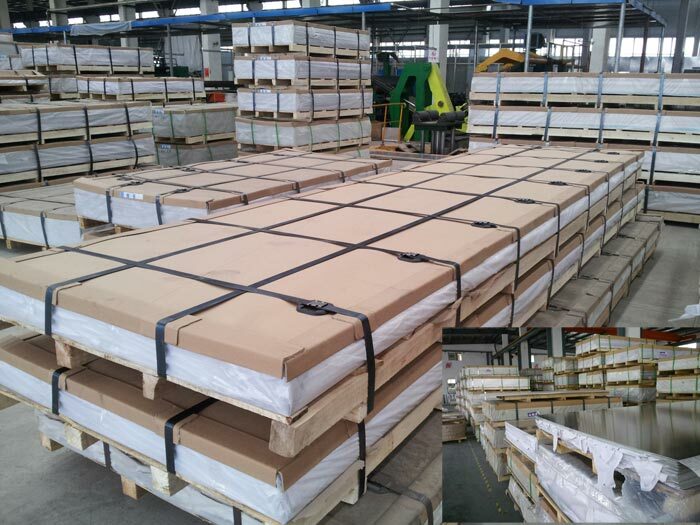 There may have many customers find that the aluminum sheet price is higher than last order, they may confused and want to know the reasons why aluminum sheet price varies frequently. As a professional aluminum sheet manufacturer, Haomei Aluminum can tell you our opinion on the aluminum sheet price variety. Aluminum sheet belongs to custom product because different customer has different specification, so the price of aluminum sheet have related to three aspects. The first is the current price of aluminum, aluminum is the raw material, it must be the first factor that influence aluminum sheet price. The second is the cost of processing, the difficulty of processing and the surface spraying are the main reasons, common processing price will be lower than special demands. The last one is the cost of transportation, the package cost and the delivery cost are included, as a fact, the cost of deliver by ship is much lower than that of airline. When there are customers require for the quotation, we will quote according to the current price of aluminum, if the customer has special requirement on the surface coating or package, the price of aluminum sheet will be higher.